Experienced wedding DJ and Emcee. PA system for wedding music and officiator. State of the art equipment and speakers for your reception. Coordination, planning and detailed timeline of reception events. Venue Uplighting and Dance floor lighting. Photo Booth available. We work hard to make your special day perfect. Full DJ Booth with six wireless microphones. Over 100,000 Karaoke tracks. State of the art on screen visuals and music videos. Digital karaoke songbook on your phone or device as well as traditional paper books for guests. Dance floor lighting, wash lights and lazers. 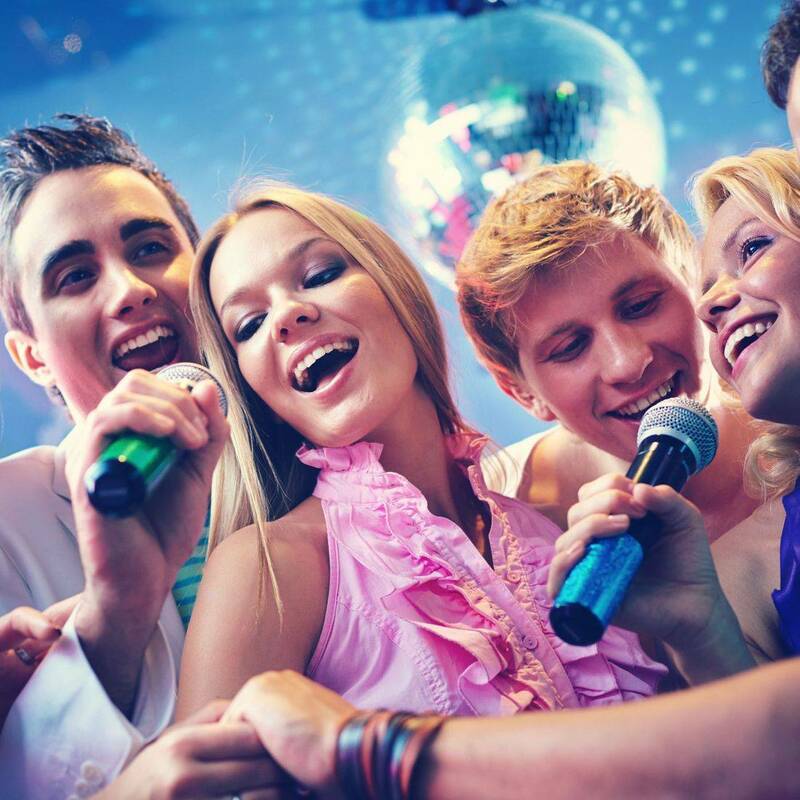 Experienced Karaoke Emcee guides your guests through the singing experience. Prices start at $200 with discounts for monthly residency. One of Northern California's premere DJ's. Over One Million tracks and adding more every day to keep any crowd moving. Experience with all genre of music and an eye for the crowd. DJ Outlaw will play what your guests want to hear. State of the art equipment, speakers, lighting and fog machine. Original mash ups, mixes and one of the last true scratch DJ's. Any performance is sure to be a hit. We have set the drink sales record at every venue we have played. Prices start at $300 with discounts for monthly residency. Planning and consultation with detailed order of events. Full Photo Booth Package for entire event. Includes unlimited prints and custom photo strip background and layout. Full time attendant, props and images on CD. It was a privilege to work with Dj Outlaw this weekend. He is professional and personable. The musical selection for the wedding was amazing and had guests of all ages dancing the night away and celebrating love! Thank you Louie, you are the best DJ ever! Or use this form to leave us a message. We're looking forward to hearing from you. We can't wait to work hard to make your next event perfect.